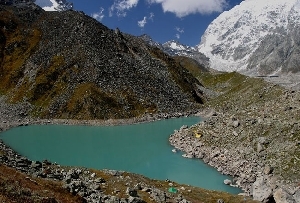 A few kilometers from Nainital, the Bhimtal Lake is one of the famous tourist spots of Uttarakhand. 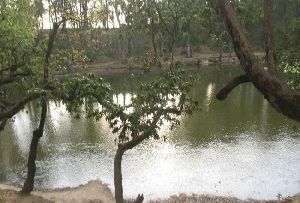 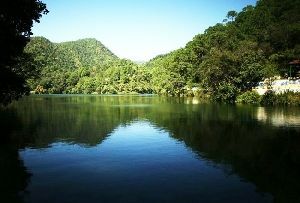 The emerald green water of the Bhimtal Lake reflects the beautiful greenery around and creates a spectacular ambience. 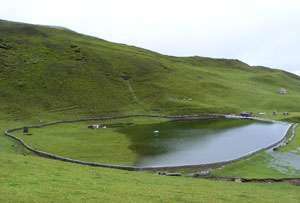 Spread over a huge area this Bhimtal Lake is the home to a rich variety of aquatic life, and during the winter months the lake is the home to a number of migratory birds. 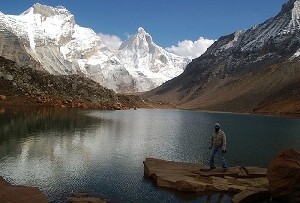 Plan a boat cruise in Bhimtal Lake and enjoy the beautiful scenic beauty of the place. 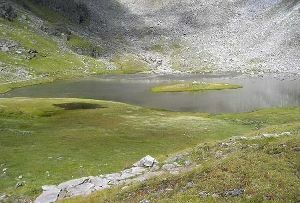 The lake has an island in the middle, where an island restaurant is located. 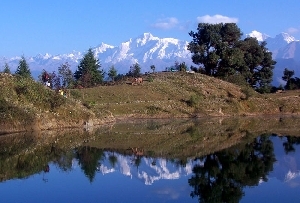 Nestled amidst the green Kumaoun Hills, Bhimtal Lake is now days a popular tourist spot. 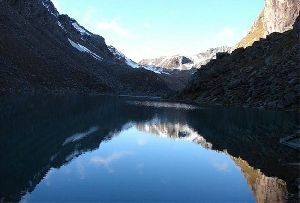 If you wish to escape the crowded Nainital malls, then plan a trip to the peaceful and serene Bhimtal Lake. 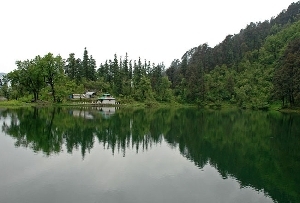 Named after the mythological character of Bhim, Bhimtal Lake is the largest lake in Nainital.